When the climate changes, how are wildlife habitats affected? What relationships exist among animals in the wild? If you like the idea of working in the great outdoors to study questions like these— consider a job as a zoologist or wildlife biologist. Zoologists study animals, and usually specialize in a specific type of animal, like birds or amphibians, studying their behavior, diseases, and development. 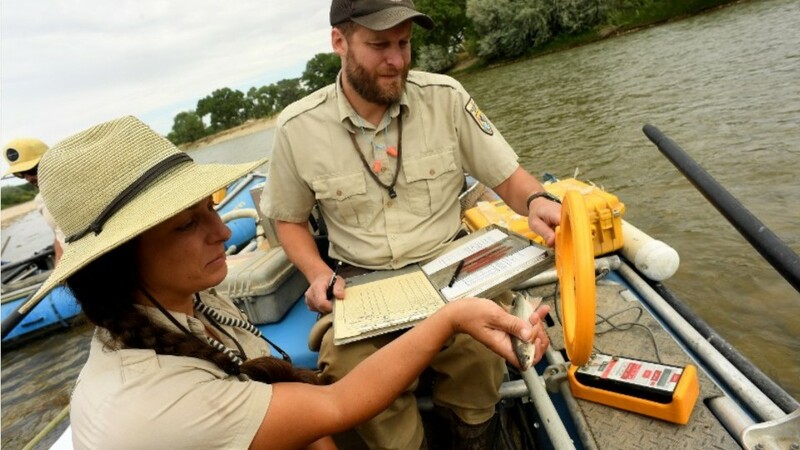 Wildlife biologists are more likely to study specific ecosystems or animal populations, such as an endangered species, and work to protect and manage wildlife populations. Zoologists and wildlife biologists design experiments, collect data, and share their findings through publications and presentations. Depending on their role, these scientists may conduct fieldwork, traveling to deserts, or remote mountainous and woodland regions that may have few modern comforts. Other zoologists and wildlife biologists may teach college students in classrooms, or conduct research in laboratories. Whether working alone, or teamed up with other scientists, they hold positions in government, colleges and universities, utility companies, environmental consulting firms, and conservation groups. For entry-level positions, these scientists need a bachelor’s degree in zoology, microbiology, biochemistry or a related field; a master’s degree or Ph.D. is often needed for higher level research or scientific work. See more details at O*NET OnLine about zoologists and wildlife biologists. Zoologists & Wildlife Biologists by U.S. Department of Labor, Employment and Training Administration is licensed under a Creative Commons Attribution 4.0 International License.